I'm doing a bit of a jump for joy as I have my first results in the vegetable garden this growing season. Spicy and crisp radishes to add to our salads this week. Soon to follow will be spinach and lettuce. This beginner gardener is quite pleased. These look great. 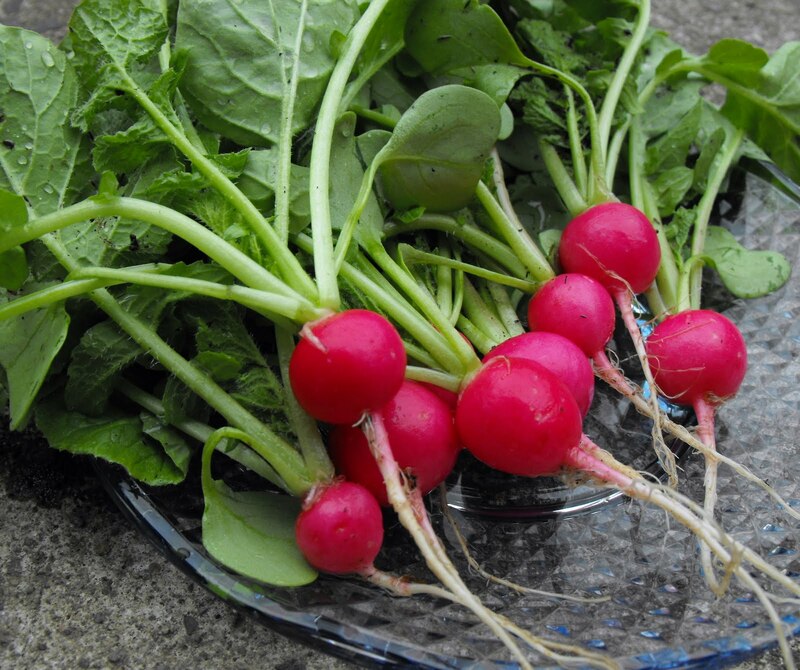 Congrats on some great radishes. Gratifying isn't it? Your radishes look perfect! Just quintessential radishes. Well done. The look just perfect! Enjoy. now that is pure inspiration! well done!!! What a gorgeous picture - fantastic colour in those them there radishes. Hi Jenni, thanks for the crushed egg shell idea, think I'll start saving up eggs. Slugs.... there was a radio show here about a research project on slugs and apparently they have a homing device and can travel quite good distances. So your pumpkin slug will return unless you discard of him (or take him about 3 miles away :), lol). Kelli. I'm jumping for joy with you!!! How exciting to have your first harvest for the year. They look amazing. Enjoy your extra special yummy salad =) ps. the sun is coming...woo hoo! Yummy, and they look so cute too! Congrats! :) T.